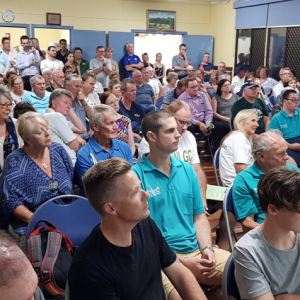 With heavy hearts, the Mango Hill Progress Association said their goodbyes to our favourite Village Copper at their monthly meeting. 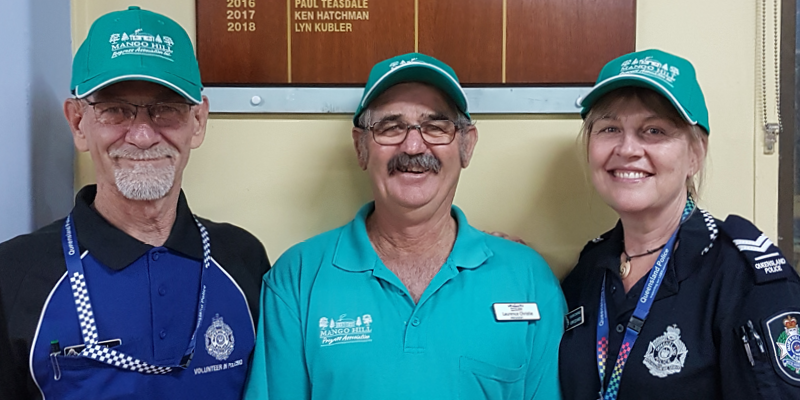 Kerri has served as a vital connection between the local Police service and the Community, keeping us abreast of the important statistics and issues that occur in the local Mango Hill and North Lakes region. 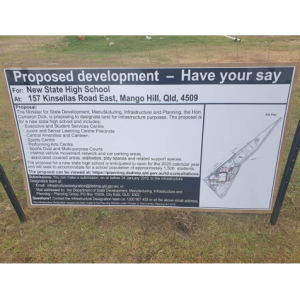 Kerri has served in the North Lakes / Mango Hill area for the last nineteen years, becoming involved with the Mango Hill Progress Association (MHPA) in 2009, where she was quickly adopted as the Community Liason Officer and has been a regular to meetings ever since. In 2016, Kerri was awarded a Group Bravery Citation from the Governor General’s Australian Bravery Decorations for her actions during a horrific truck accident at Bald Hills. 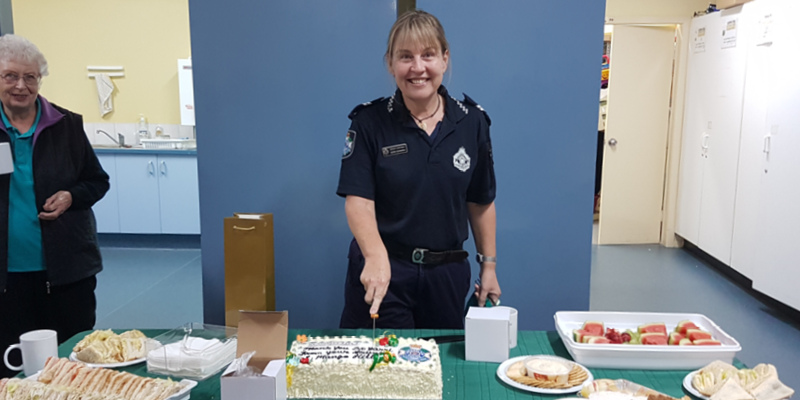 In 2017, the Progress Association also proudly nominated Kerri for the Pine Rivers Police Officer of the Year Award, which is run by the Rotary Club of Pine Rivers, for which S/C Edwards was the successful recipient. This award formally recognises Police Officers for not only the work they perform in their daily duties, but importantly, for the role they perform above and beyond their normal duties, a role integral to working with Community, to enhance Community safety. S/C Kerri Edwards is now looking forward to her new role as Officer In Charge of Cannon Hill Police Station. On behalf of Big Local and the Mango Hill Community, we would like to wish Kerri all the very best!